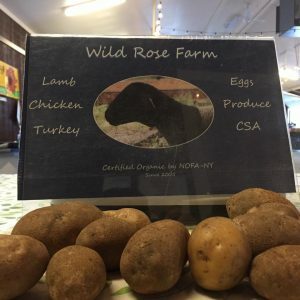 This weeks featured vendor is Wild Rose Farm, owned and operated by the MacDonald family out of Owego, NY. Farming was always a lifelong dream for the MacDonald’s. 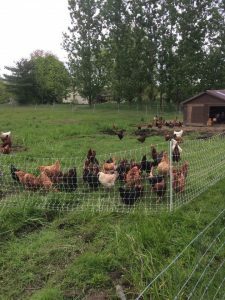 They moved here from California with the promise of abundant rain and affordable land, and now operate on 218 acres. They have been in business for 20 years and selling at markets for 5. Wild Rose features certified organic lamb, chicken, turkey, eggs, and veggies. 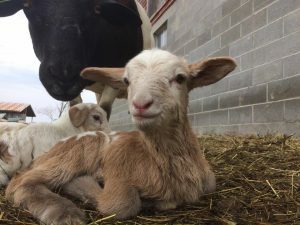 You can find them on Saturdays at the Broome County Regional Farmers Market, online at Wild Rose Farm, on Facebook at Wild Rose Farm on Twitter and Instagram @ wild_rose_farm, and you can also pre-order direct from the farm!